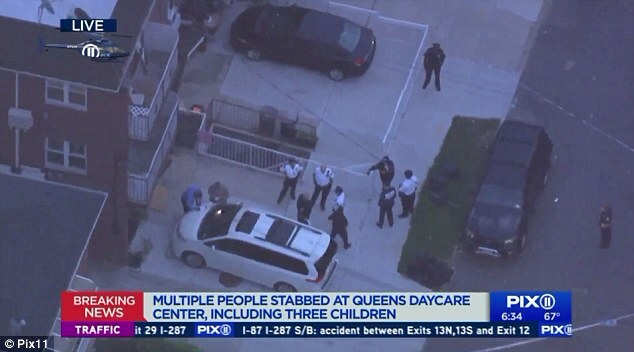 Five people - including three baby girls - have been stabbed at a 24 hour Chinese daycare center in Queens, New York, by a 52-year-wold woman who works there. The babies ages are three days old, 20 days old and one month old. All three are in the hospital where one is in a serious condition. Police found a meat cleaver and butcher's knife at the property. There were six other infants in the house who were not harmed. Two adults - another female worker and one of the girl's fathers - were also stabbed. They too are in hospital. All five of the victims and the attacker, who was unconscious after slashing her left wrist when police arrived but who has since woken up, are expected to survive. 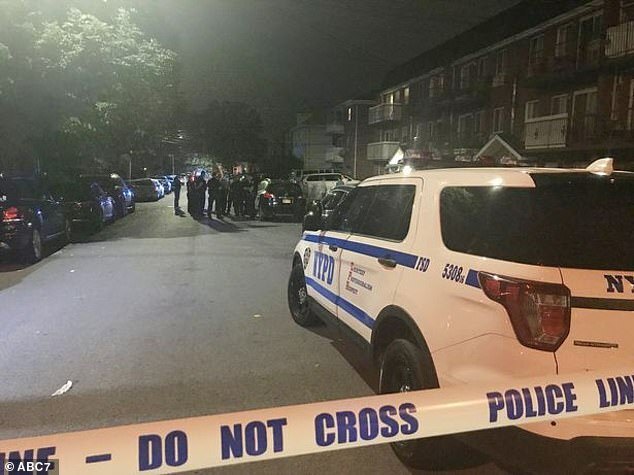 The incident happened at 161st Street in Flushing at around 3.30am. Others were inside at the time but it remains unclear if they were children or adults. 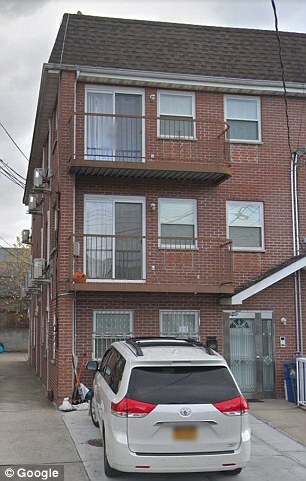 At a press conference on Friday morning, an NYPD official confirmed that there were multiple families inside the home at the time and many are believed to live there. There were five baby girls, four baby boys and some of their parents inside when the stabbing took place at 3.40am. After attacking the five victims, the woman went to the basement of the property where she slashed her left wrist in an attempt to take her own life. She was found there by police a short while later and was unconscious but, after receiving a tourniquet, regained consciousness. One of the baby girls was more severely injured than the other two. Police initially feared for her life but her condition has improved to critical but stable since she was taken to the hospital. 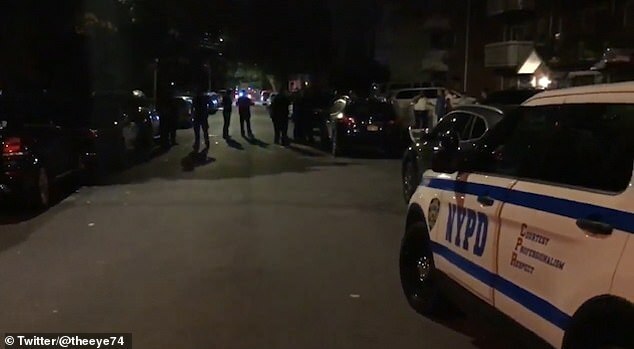 'There was 1 child more seriously injured than the other two, at one point we thought might have been likely but thank God she was upgraded and is now stable,' NYPD Assistant Chief Juanita Holmes said. She added that the property was split between living quarters but that they had uncovered paperwork which showed it was a daycare center too. There is no record for any business at that site online. It remains unclear how many stab wounds they each suffered and where on the body they were struck. The stabbing is understood to have happened on the ground floor and in the basement. how many three day old babies actually go to day care centers? Illegal citizens having their babies. Thats what this place was. Exploiting the childbirth loophole for instant citizenship. Do some research.....you will find it. This story was written by a complete MORON, as well. Sad future if this is what we accept as well written journalism.